The MDF® Single Head Stethoscope offers the medical community an economical, quality diagnostic device designed for blood pressure assessment and general examination. 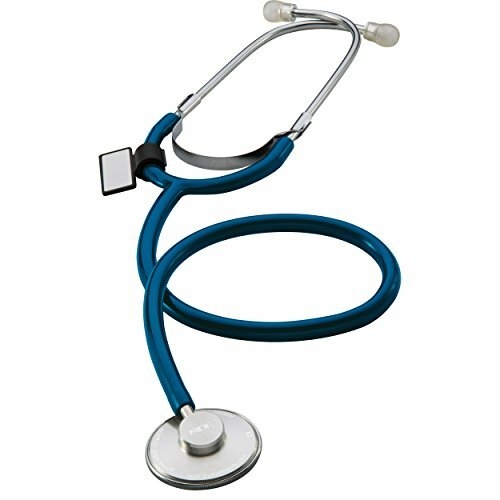 The MDF® Single Head Stethoscope is the solution for healthcare professionals looking for a professional-grade instrument at an affordable price. AccuFit® Headset: Adjustable headset constructed from chrome-plated brass allows the user to create an individualized fit. Soft silicone ComfortSeal® eartips (available in standard and small sizes) are clear for hygienic purposes and conform to the ear to seal out extraneous noise while ensuring comfort during extended use. Patented SafetyLock® eartip adaptors lead the industry in user safety. Included Accessories: Extra set ComfortSeal® eartips, spare ultrasensitive fiber diaphragm, and ID tag.